A very interesting study on Caribbean populations' autosomal ancestry is in the oven (pre-publication at arXiv). Update (Nov 15): formally published at PLoS Genetics (open access → LINK). No apparent major changes. Figure 1: Population structure of Caribbean and neighboring populations. A) On the map, areas in red indicate countries of origin of newly genotyped admixed population samples and blue circles indicate new Venezuelan (underlined) and other previously published Native American samples. B) Principal Component Analysis and C) ADMIXTURE  clustering analysis using the high-density dataset containing approximately 390K autosomal SNP loci in common across admixed and reference panel populations. 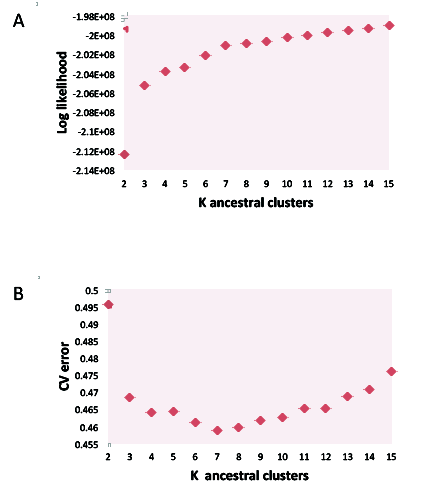 Unsupervised models assuming K= 3 and K=8 ancestral clusters are shown. 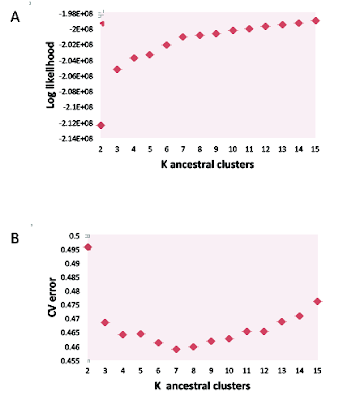 At K=3, Caribbean admixed populations show extensive variation in continental ancestry proportions among and within groups. At K=8, sub-continental components show differential proportions in recently admixed individuals. A Latino-specific European component accounts for the majority of the European ancestry among Caribbean Latinos and is exclusively shared with Iberian populations within Europe. Notably, this component is different from the two main gradients of ancestry differentiating southern from northern Europeans. Native Venezuelan components are present in higher proportions in admixed Colombians, Hondurans, and native Mayans. As expected, Mexicans and most Colombians and Hondurans cluster mostly between Europeans and Native Americans, while Cuban, Dominicans and Haitians do between Europeans and Africans instead, with Puerto Ricans and some Colombians and Hondurans showing tripartite ancestry. A most notable issue is that the bulk of Caribbean Latin American ancestry from Europe forms a distinctive component that the authors suggest is a founder effect from the early colonization almost 500 years ago but that I feel that deserves a closer look. The authors provide also the full ADMIXTURE results for up to K=15, with cross-validation data, what is certainly appreciated by this blogger. for results shown in Figure S2. Here we see a generic Mediterranean presence in Europe of the "black" component. Would it be just a simple reflection of European structure, then we should expect that the European component in Latin Americans would be c. 70% "red" and just 30% "black". But nope, not even in Cubans, who are the ones with the most recent European input overall (because it was a colony until a century ago). This may indeed have the explanation that the authors suggest: that it is the result of a "recent" founder effect some 500 years ago in the early moments of the Castilian conquest and colonization of America. But still something does not ring correct. At the very least I have some doubts. An alternative possibility that should be eventually tested could be that what we identify as "European" ancestry is in fact something European-like but not exactly European, for example North African and/or Jewish ancestry. There could be various sources for this trans-Mediterranean flow into America: on one side it has often been speculated (but never really proven) that a lot of Muslim and Jewish converts migrated to the colonies in the hope to escape the Inquisition. A major problem here is that most Muslim Iberians should be identical or nearly identical in ancestry other Iberians (Jews were not numerous enough probably anyhow). But another interesting possibility is that many North Africans (including Canarian Aborigines or Guanches) may have been enslaved early on to supply the plantations of the Caribbean. Initially the excuse for slavery was not "racial" (an Illustration development in fact) but "religious". There are known many Papal edicts insisting that Canarian converts would not be enslaved, something that the Portuguese (first colonial power in the archipelago) did anyhow again and again. It is plausible (but ill-documented) that North African conquest campaigns and raids by Portugal first and Castile later would also capture many slaves in those areas, slaves that would probably end up in America in many cases, where they may have been emancipated eventually, becoming part of the Mestizo backbone of the Castilian colonial empire. I know I am speculating a bit here but it is an interesting alternative to explore. In this regard I really miss North African control populations, because they would shed light on this intriguing matter. Another issue the paper explores is the origin of African ancestry, finding that the oldest ancestry is mostly from westernmost Africa (Mandenka, Brong as reference populations), while more recent ancestry is mostly from the Nigeria-Angola arc (Yoruba, Igbo, Bamoun, Fang and Kongo). The study also tries to reconstruct population history but some of their results are perplexing and highly unlikely. 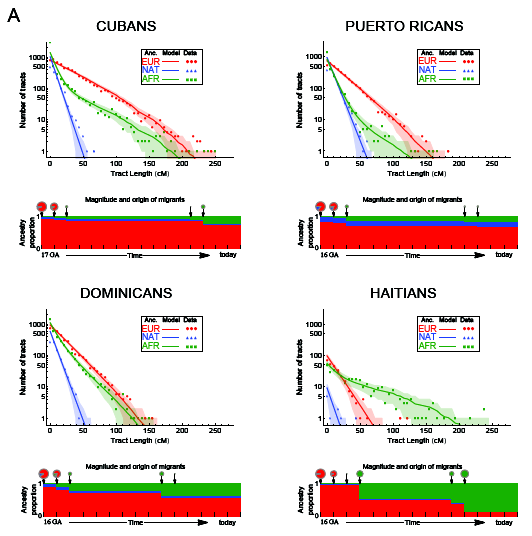 Figure 3: Demographic reconstruction since the onset of admixture in the Caribbean. We used the length distribution of ancestry tracts within each population from A) insular and B) [not shown] mainland Caribbean countries of origin. Scatter data points represent the observed distribution of ancestry tracts, and solid-colored lines represent the distribution from the model, with shaded areas indicating 68.3% confidence intervals. We used Markov models implemented in Tracts to test different demographic models for best fitting the observed data. Insular populations are best modeled when allowing for a second pulse of African ancestry, and mainland populations when a second pulse of European ancestry is allowed. Admixture time estimates (in number of generations ago), migration events, volume of migrants, and ancestry proportions over time are given for each population under the best-fitting model. The estimated age for the onset of admixture among insular populations is consistently older (i.e., 16-17) compared to that among mainland populations (i.e., 14). The really perplexing issue here is that in Haiti and Cuba particularly, the latest and quite notable arrival of African ancestors corresponds to a mere four generations ago, what means (as the approx. generation length is of c. 30 years, not longer because then the earliest European arrival would be before Columbus' feat) a mere 120 years ago, i.e. around 1890. 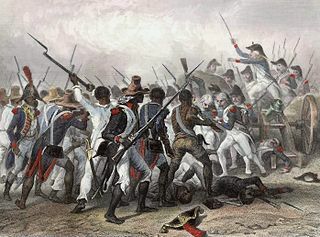 The reality is that Haiti became independent in 1791-1804 and no relevant demographic inflow has happened since then. Similarly the last major batch of slaves to Cuba (from Spain, where slavery was being outlawed, as well as from Haiti itself) was in the earliest 19th century (however slavery would not be abolished in Cuba until 1884, although human trade was declared illegal in 1835 under British pressure). Therefore there must be an error of some sort in these reconstructions, which generate more recent African inflows that are realistically possible. Update (3 Nov): Canary Islands were a major source of Caribbean "white" ancestry. A very interesting and informative discussion with a Puerto Rican in search of his ancestry arose recently at my old blog Leherensuge. Charles provided very useful information on this matter and told me about aspects of the history of the colonization of America, and very especially the strategical (but economically less important) islands of the Greater Antilles. A very unknown historical element is that Castile (not as much as Portugal but still) lacked great amounts of willing settlers in its free (non-serf) population and that therefore it had to look for assimilated colonists in odd places like the Canary Islands, where the clannish Guanches (the distinctive aboriginal islander Berbers) seem to have served that purpose by grade or force. For example, in 1678 the Castilian Government issued a decree (cédula) that has become popularly known as Tributo de Sangre[es] (Blood Tribute) by which the Canarian oligarchs were imposed a "tax" of nine families to be moved to the Caribbean for each 1000 tons of local exports to America. There are some historians who criticize[es] this concept as "a myth" but what seems very clear is that, either way, Canarian Aborigines contributed heavily to the settlement of "Spanish America", very especially the Dominican Republic, Puerto Rico and Cuba. So it seems I was correct in imagining a North African origin of this "black" component of Caribbean European-like ancestry. Of course, it still awaits a formal test of comparison with North Africans but I am pretty much persuaded now. This is an interesting example of settlement with a culture (Castilian/Spanish in this case) different from the genetic roots of the population (largely Aboriginal Canarian). A similar example can well be that of the Irish (partly forced) settlement of Australia, carrying an "English" language and identity but effectively being from a different origin. In the case of Quebec it is also very probable that most original settlers came from some specific region of the French state and surely not from the "core France" around Paris (Southwest? - still untested but there is a very clear founder effect in any case). I wonder how many other such cases have happened also in prehistory. For example: how genuinely "Indoeuropean" (by blood) were the Celts or other invaders of the Metal Ages. The likely answer is: probably not much. This has probably happened a lot but is in most cases undocumented. Only careful and dispassionate genetic research can give us some answers. Juan Manuel Santana Pérez, Isleños en Cuba y Puerto Rico (del siglo XVIII a mediados del XIX). Cuadernos Americanos nº 126, 2008 → LINK (freely accessible PDF). Update (Oct 12 2018): Independent research just published HERE shows that about half of the ancestry of Puerto Ricans is Berber (North African) rather than Iberian and thus that the Guanche or Canario ancestry hypothesis posited by Charles is almost certainly correct. Atlantic "Creoles" i.e. people with mixed ancestry from those Atlantic island settlements were supposedly very prevalent in the early days of Spanish and Portuguese colonization of the Americas. "(Jews were not numerous enough probably anyhow)." Not as Jews maybe but if African-Americans have 20% or so European ancestry on average then maybe these "Creoles" had some Jewish ancestry? If so the black component on the K diagrams would be much higher in Spanish and Portuguese colonies and lower in French, British etc colonies. An issue is that the component is apparent across the board, not at all among peoples with notable African ancestry, so I don't see any reason to think that the source of this component comes from any population with notable Tropical African ancestry. Also notice that, while Portuguese traders were a major source of slaves, free people from outside Castile could not normally settle in the Castilian colonies (i.e. Spanish America). In principle you had to be "castellano viejo" (Old Castilian) to settle in the parts of America under Castilian control, that should also exclude non-slave Jews or Arabo-Berbers, or even Spanish Moriscos (although I guess some may have got counterfeit papers and got away with them, I doubt it'd be generalized). Later on, since the legal unification of Spain under the Bourbons (c. 1720) this policy was loosened but still it seems that the initial colonists were those who made the greatest impact everywhere. "An issue is that the component is apparent across the board, not at all among peoples with notable African ancestry, so I don't see any reason to think that the source of this component comes from any population with notable Tropical African ancestry." Hmm, pure guess but could it be differential survival i.e. the Canarians, Guanches etc having a survival advantage over time? That may mean the same as when I wrote that they might have been emancipated later on, becoming "middle class" participants of the colonial bureaucracy and managerial classes. But speculating. Anyhow, slave population in the Castilian colonies was rather low initally, as suggested in the above timeline graphs (low African input increasing at bouts along time). Only Hispaniola (Dominican Rep., Haiti) and Cuba had significant African-originated populations, in the first case because it was under French control for a long time. The Castilian colonial economy was only weakly reliant on slave labor (used instead semi-feudal labor), unlike all other European colonial empires in the same area. As you said before, many early Spanish slaves seem to fall under the category of "Atlantic Creoles", which I do not know if it includes people of North African ancestry, a matter that would be interesting to explore. Old article by G. W. Roberts (I assume he's the same person as George W. Roberts, author of Population of Jamaica) - Immigration of Africans to the British Caribbean(1954)claims that between 1841 to 1867 36 100 people alone emigrated to the British Caribbean from Africa (many were freed slaves) - and other sources also vaguely claim relatively significant population movements to and around Caribbean after the abolition of slavery in the British Empire. These kind of events could have blurred the data somewhat, even on Haiti. Hmmm... I can't say but, while I found reports on Haitian slaves being brought to Cuba and Louisiana by their exiled masters, I could not find anything about freed or maroon slaves fleeing to Haiti. I have been searching for some info on demographic movements upon the independence of Dominican Republic in 1844 (originally part of Haiti), because I know that there is strong historical grudges between the two countries, with racist overtones often, but, other than public servants fleeing, I found nothing. "Emigration to Hayti.—The brig America, Kingsley, sailed 20th of July from St. John’s River, East Florida, having on board nearly 100 free colored and some white passengers of that neighborhood for Hayti. They were mostly of the useful and laborious classes of this community, such as agriculture, assorted with blacksmiths and carpenters, together with some first rate ship builders and other mechanics, intending to settle near Port au Plate, under the patronage of Mr. Kingsley, a Florida planter, who wishes to transfer their industry in his own fertile lands in Hayti." Transcribed by Mark Fleszar, Georgia State University, 2007. I think the answer is a combination of inbreeding and North African DNA (Guanches / Berbers). When my family and I were tested through 23andme, two things stood out. I was related to approximately 85% of my cousins on both maternal and paternal sides! The 2nd thing I noticed was that I had a huge number of 3 to 4 cousins, over 900! Of these cousins, I knew none... Many of the names were not ones that I recognized as family names. My guess is that much of this is probably due to DNA that has been kicked around for 500 years. As far as the North African, most Puerto Ricans seem to have between 10-20%, mostly coming from the Canary Islands or closely related Berbers... There also seems to be (at least in my family) a link to east Africa, with over half of my SSA (3.5%) having an affinity to this area. My guess is again the North African component being responsible. However it's also very possible that they are misreading, downplaying, the actual time distance. Short 'molecular clock' versions are generally favored by commercial DNA-testing companies because they want to offer their customers the impression that they can actually find relatives or relate to historical events and people. However they are almost definitely wrong by A LOT. In fact if that short 'molecular clock' model would work, you would not find mystery 'cousins', much less so many, because the 'clock' never really stops. The most likely answer is that those cousins are not 3-4 degree (8 generations or ~240 years ago) but doubly remote or more. But what would commercial companies tell their North European and North American customers, if they can't appeal anymore to familiar names like the Vikings or the Celts but have to give prehistory courses to explain to a disappointed audience what it means to be related at the level of early Neolithic or even hunter-gatherer ancestors? Sincerely, your testimony above only supports my conviction that the 'molecular clock' models promoted by the commercial companies (and too many sloppy academics), are absolutely wrong by a lot. Said that, the founder effect at the beginning of the Castilian colonization is still a very serious possibility, as suggested by the authors. However it'd be a lot more interesting if they'd removed several European populations and replaced them by more localized samples from Iberia, as well as other suspect populations like North Africans (critical) and maybe other peoples historically known to have lived in Iberia like Jews and Romani. That way we could analyze this issue more clearly. Thanks for you input! After a month of searching for connections I suspected that these were miscalculated. The intriguing part to me is the high amount of inbreeding, which was a common practice in Puerto Rico and I suspect other Caribbean colonies. I have seen this in my families paper trail and read some accounts online. It was an attempt to keep families "white", in most cases. I don't have a great handle of how these studies are conducted and I am a newbie to DNA, however I find it hard to imagine that the North African component wasn't looked at... as far as Jewish ancestry, I think it is possible and likely at low levels. Columbus's interpreter was probably of Jewish heritage, however he was killed by the natives. It's suspected that the Jews would have lived in the mountains, away from prying Spanish eyes. Personally I would like to see an Iberian breakdown, although I understand that this may be impossible...??? Well, just make a search for "molecular clock" at this blog and you should find some extra information on the matter. Suffice to say that I'm very critical with mainstream (and much more with commercial) approaches to this issue of autonomous genetic dating, which I understand is very much in its baby stage as of now, and also suffers from scholastic bias, and cannot offer realistic estimates yet, just a bunch of pseudoscience. My opinion anyhow, of course. Entry updated: it seems extremely plausible that Aboriginal (or slightly mixed) Canarians (Guanches) were the bulk of Castilian settlers to the Caribbean (and other economically less important areas of the Castilian Empire like Argentina, which were nevertheless very strategical). There is even evidence of forced migration (Tributo de Sangre). Formal test of North African ancestry still awaits but it seems quite likely to be the case on light of the available data. I include here an article in Spanish I recently published thanks to a professor in history from Gran Canaria in the Canary Islands. In the article, I explain my genetic and genealogical research into my Canarian Guanche heritage and the heritage of many like me that arrived to fill the empty spaces the Spanish Empire had in places like the Caribbean. My grandmother has one of the highest percentages of North African DNA out of 1300 plus genetic cousins she has on 23andme.com. That gives me confidence my ancestry was indeed Guanche. The Native American and Tropical African she does have is the same most people in Puerto Rico have. That is admixture. The genealogical records suggest that my great great grandmother was classified as a mestiza in her death certificate. (But no where were they declared mulata. And they were too poor to bribe the officials to whiten them in the census!) This is because the Guanche were confused constantly as Native American-Iberian mestizos in the American Colonies. You will see by the photos in my article that my maternal family's phenotype is Afro-Asiatic and not Tropical African. We have blondes in our family as well as other recessive features characteristic of Caucasoid people. This blog I submitted to only takes serious genealogical studies and has received over a 110 thousand hits according to the manager. I am practically the only article of the Canarian diaspora in that genealogical blog. I wanted to add also that, one of the reasons why the Tropical African component is limited in Puerto Rico to the North Eastern, Eastern and metro areas of San Juan and Ponce is because Puerto Rico suffered a Great Recession that lasted about two centuries. After the gold dried up Puerto Rico, Spain focused on Peru and Mexico as part of the New Spain. Puerto Rico thus became a malaria infested and storm infested presidio. No one wanted to go there! Only those escaping the Inquisition (specially after the seat of the Inquisition was moved from the Dominican Republic to Peru in the late 1500's) such as the crypto Jews and the hardy Canarian Guanche were the few "white" components that made it to the Island. Of course, there were always the elite that settled in the western part of the Island. About two thirds of the mitochondria found in Puerto Rico were those of Native American women. Because the Spanish killed off most of the men (up to 90%) and kept the women for breeding. The same thing happened in the Canaries! Everything the Spanish needed to know about colonization of natives they perfected in the Canaries! The rest of the mitochondria can be divided between the African and the European component. But it is important to note that the transatlantic slave trade, unlike the transaharan slave trade, favored men over women two to one. So, out of the African mitochondria present in Puerto Rico, it could be argued that about half of that is actually neolithic Iberian and Guanche Berber. The fact is that Puerto Rico was very economically unattractive in the 16 and 1700's. So much so, that Spain came up with a forced relocation policy called the Tributo de Sangre. The purpose of this was to fill up the empty spaces in these undesirable parts of the Spanish empire to make sure it was populated enough to stave off invaders such as the British and Dutch as well as to try to receive tribute from these forgotten parts of the empire. The Tributo was somewhat successful. Many families did emigrate to places like Puerto Rico from the Canaries. And unlike the Peninsulares (Spaniards from the Mainland), the Isleños (Canarians) tended to stay in these places. A virtual transfer of culture occurred where the Canarian culture and linguistic vernacular was transported wholesale to places like Puerto Rico. It is safe to say that at least two thirds of the white peasant stock on the Island are of Canarian origin. I just let you an extensive comment in Spanish at your blog. I must say that your personal epic of ancestry finding is most interesting and, incidentally, revealing for a large sector of the World's population. Because if the Canarian-Guanche origin of most of the "black" component is confirmed, as I believe it will be, it should be a revelation for the whole region. 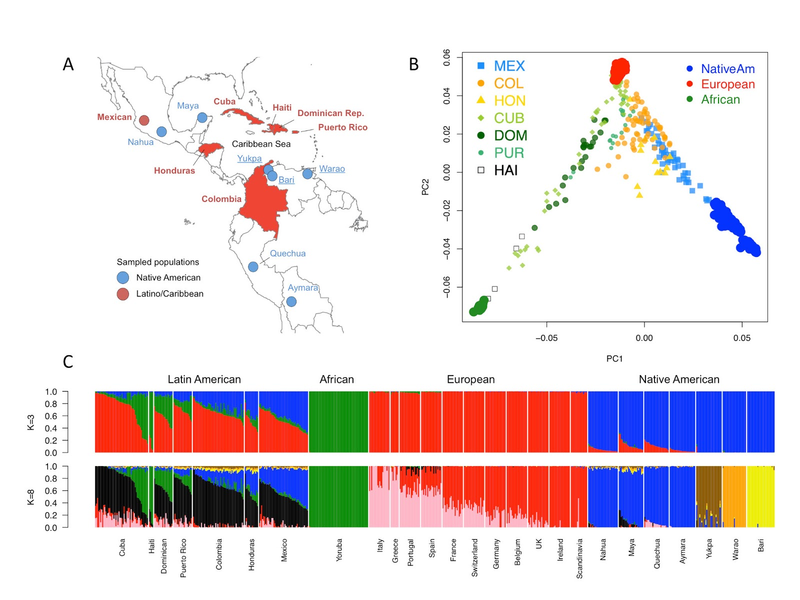 The "black" component is not just overwhelmingly dominant in the Caribbean islands (with some partial exception in Cuba) but also in Mexico, Colombia and Honduras and even the small "european" admixture in the Mayas should be of that same origin. So the Guanche ancestry may be common to all the Caribbean basin (Spanish speaking countries at least, although it's also apparent in the few Haitians with some "european" ancestry). On the other hand, Peru and nearby areas, may have received more genuinely Castilian immigration, judging from the fact that small admixture in Quechuas appears mostly "red". Look at the graphs above again, Charles, especially this one. All Caribbean countries and not just Cuba and Puerto Rico share similar high levels of the "black" component, which I most likely to represents Guanche ancestry (after a technical reduction of the 20% of the size of the red segment of each individual, I guess). It's not just a matter of Puerto Rico and Cuba but of all the Caribbean, including large countries like Mexico or Colombia. Cuba looks in fact the less Guanche of all, surely because a lot of people also migrated from the Iberian mainland and other parts of Europe, mostly in the 19th Century. It still looks very much Berber but not as much as Colombia or Mexico, for example, at least in the share of the "white" ancestry (red and black colors in the graph). So I would de-emphasize the Cuba/PR uniqueness of this Guanche ancestry. It seems to be much more widespread than just those islands and affect the whole Caribbean/GoM basin in almost identical ways in what regards to the colonial component. For me it's fascinating that those small Canary Islands were able to cause such a massive founder effect (but you did explain how that could be: only Guanches were motivated enough, in most cases, to attempt the colonial adventure in the first centuries of the Castilian Empire). I would agree with you Maju that the Canarians may have indeed a far empire wide effect on the whole of the Americas. Please forgive me for being such a regionalist! I am just not as fluent about the history of Central and South America to comment on them. I do know the Canarians were sent to fill gaps and middle to lower level governmental posts as well as fill the ranks of the Army with subjects faithful to the crown. But again, I have not delved into that subject in depth. I agree that this needs to be looked into further and I agree that the study is way too constricted to components such as tropical Africa to be of too much use. I agree that the North African element is very important. The "via de escape" policy the Spanish Empire served two purposes: 1. To fill the gaps administrative, logistical, military and trade related regional gaps to insure the good functioning of the empire with subjects faithful to the Spanish Crown. 2. To diffuse tensions in the Canaries due to the disparity between the haves and have nots in the Canaries itself. From the beginning there were social tensions in the Canaries. And from what I have read, there are still tensions and separatist leanings to this very day! Nothing to forgive, man: just trying to expand the field of vision a bit, always according to what I'm able to observe. "And from what I have read, there are still tensions and separatist leanings to this very day!" Well, modern Canarians seem pretty much "iberized": they are not any more only or mostly Guanche descendants, although they probably keep a variable Guanche ancestry, strongest in La Gomera (see: http://en.wikipedia.org/wiki/Canarian_people#Population_genetics). For that and other reasons (they may fear more Morocco than Spain) they haven't been able to organize a strong nationalist movement, although the islands' politics are dominated by the Spanish-nationalist parties (PP and PSOE) a moderate-conservative regionalist party (Coalición Canaria). There used to be some very militant Canarian nationalist movement in the past (see: http://en.wikipedia.org/wiki/MPAIAC), with some support from Algeria and what not, but a state terrorist attack against their leader Cubillo essentially ended it. I'm not sure how strong is Canarian nationalism (i.e. beyond regionalism) today although I have the impression that both left and nationalist feelings are growing (but not just in Canarias but in most of the quite poorly structured state of Spain, which now also goes through one of its worst historical crisis in the economic aspect with unemployment and poverty becoming simply unbearable). Canarias, as well as other southern "colonial" areas of the state (Andalusia, etc.) bear the bulk of the damage, so no wonder that people is restless everywhere and look in many "regions" to break away with such a failed state that cannot guarantee a modicum of social stability anymore. Curiously Canarias has a common and not "national" statute of autonomy, although being insular it also has some peculiarities. Instead Andalusia is accepted as "historical nationality" (even if nationalism is not really stronger than in Canarias). Eventually everything can be political. I'm not the kind who pretends the opposite. My conditions for commenting here are political: racism, sexism and homophobia (which are political) are simply not allowed on human rights grounds (which are political). In the past my only blog Leherensuge was multifaceted and, even if I have split it in two, to try to keep things somewhat separated, I'm not going to disdain nor censor if some elements have political ramifications, as long as general respect and human rights are not stepped on. In this case there are some political aspects that are worth to mention. After all both Canary Islands and America suffered a colonial genocide and that genocide and colonialism have political effects today. Spain as Kingdom was legally created only with the Bourbons in the early 18th century, after losing all possessions elsewhere in Europe. Previously Castile (with its colonies) was a distinct kingdom from those of the Crown of Aragon, as well as other Crown possessions in Italy and Central-West Europe (Low Countries, Franche-Comté, even Portugal and its own distinct colonial empire for some time). Non-castilians had no right to take part in the castilian colonial enterprise (the same that non-portuguese had no right to take part in the portuguese colonial empire), with the rare royal-sanctioned exception. Basques were technically Castilians and so were Canarians but for example Catalans or Belgians were not. So when we talk of Spanish America and so on, in fact we are talking of Castilian America, etc. But as the core ethnicity of Spain is Castilian these things get confused. It's much like saying England instead of Great Britain but vice versa. In Spanish history it tends to say "Spain" (like "Great Britain") when this concept was not yet one of a polity but a mere geographical one (i.e. Iberian Peninsula) and they should use Castile or "Spanish Crown" instead, depending on what exactly they are talking about. "the idea of Spain is still very much an invention of the medieval and renaissance minds"
It is a geographical reality (Iberian Peninsula) and has got some variable level of "unity" since the Barcas. Like so many others, its political manifestation as state was always a matter of historical accidents or often provoked incidents: the Trastamaras conspired even against their own children for it, see http://en.wikipedia.org/wiki/Charles_of_Viana - although it's not complete and does not include Juan's written confession of parricide plotting against all his children from his first marriage in favor of the line that would bring the union of Castile and Aragon, which is documented. But in any case I feel that they were not so much worried about forming "Spain" but about generally expanding their dynastic power to as much of Europe as possible; the same that they plotted for the union with Castile, they also plotted for the conquest of Italy and the incorporation of "German" realms of all sorts. In this sense Spain is rather an accident of the story of a great political imperialist dynastic ambition. One that Machiavelli probably had in mind all the time when writing The Prince but did not dare to emphasize because it could have backfired (instead he used the more modest example of Cesare Borgia). Excellent information. Thanks for your input Maju! :-) It clarifies some key points for me regarding Spain. I would like to present a great work I contributed my genetic information to. I think her results are important in regards to the ongoing discussion of the Sub Saharan component in the Americas. She makes a rational cutoff at around 40% (She presents in her results section.) in regards to those of clear slave descent vs those that have other heritages such as Moorish, Guanche or Middle Easterner. I think adds some rationality to this often passionate discussion! And it shows the complexity of the admixture of New World genomes! It looks an interesting study, thanks. It seems interesting that the group with <40% African ancestry (which in essence includes the samples with ~10% African ancestry) seems most tightly linked to North Africa, in contrast with the rest, whose origins are tropical. I have to agree with you Maju. I think we need more studies like this. When people talk about the SSA component, sometimes the discussions become passionate and visceral. We need more rational parameters such as the one presented by sinologist in order to avoid discussions degenerating into mutual recriminations of racism or some other such ad hominem. Note: Charles uploaded an admixture graph for his grandmother, which clearly shows that she has mostly North African ancestry, plus some Native Mesoamerican, and no obvious European tendency whatsoever. So at least in a point case the Berber ancestry is formally demonstrated beyond reasonable doubt. New update with another, quite detailed, historical review of Canarian flows to the Spanish Caribbean possessions (in Spanish language). As an example, in the levy of 1824 alone, more than 66,000 young men were sent there as recruits. Thanks to Charles again. It was as easy as testing it, well, almost but in essence it was.